Unboss er en bog om ledelse skrevet af Lars Kolind og Jacob Bøtter. Bogen og tankerne bag blev skabt som et resultat af deres samarbejde i Wemind. UNBOSS er en bog om arbejde og ledelse, du ikke har set mage til. 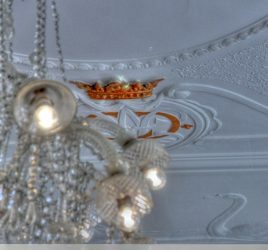 Den sætter spørgsmålstegn ved alt det, du troede var en selvfølge: Troede du, at virksomheders formål var at tjene penge? Nej, de skal først og fremmest gøre nytte. De skal blive til bevægelser, der forandrer verden. Du er ikke mere ansat i dit job. Du er partner i et team. Din leder har ikke alle svarene, men din leder kan stille de gode spørgsmål. Du arbejder ikke for at tjene penge til nogle ejere, du ikke kender. Du arbejder for en sag – og du får selv en rimelig del af den gevinst, du skaber. Du går ikke på arbejde fra 8 til 16. Du arbejder der, hvor du er og hvornår det passer dig. Din virksomhed sælger ikke produkter til kunderne. Den skaber værdi sammen med kunderne. Og arbejder du i det offentlige, er det ikke budgettet, der tæller. Det er den værdi, du skaber for borgerne. UNBOSS er skrevet i samarbejde med 100 visionære personligheder fra hele verden. De er kommet med nye ideer og konkrete eksempler. Det hele er bundet sammen af Jacob Bøtter og Lars Kolind. Resultatet er blevet en bog, der ikke bare vil skabe debat. Den vil skabe revolution. 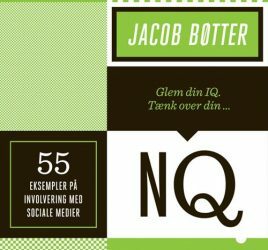 I videoen fortæller Jacob Bøtter om bogen og hvordan den er skabt. Nedenfor kan god introduktion til Unboss. This book is about leadership: one of the most important issues of our time. Leadership affects every single person at work, i.e. billions of people. It drives the way we create value and wealth, and it is one of the root causes of climate change and the exploitation of nature and the environment. To lead is to create value with other people. Leadership is everywhere: in business, in institutions, in organisations, in communities, in families and in politics. Good leadership means happy employees, members, citizens and associates creating value for themselves and for others. Bad leadership means waste of time, energy, resources, competencies and opportunities and leads to unhappy people creating too little value for themselves and for others. The potential which comes from getting leadership right is vast. To understand how vast, we asked 100 people from different organisations how much more value they thought they could create if their work was organized through perfect leadership. If their team was well designed, if their boss gave them the working conditions they needed and if they were doing work that they were really enthusiastic about. The average employee estimated that he or she could create 60 % (sixty per cent) more value. Only four people felt they could create less than 5 % additional value. We have been personally involved in organisations that transformed themselves into creating four times more value per employee after only two years. In a broader perspective we are currently witnessing the astonishing potential of people working together building such global phenomena as Wikipedia at virtually no cost. Imagine if everyone in your organisation could create 60 % more value. Either you could do the same with about 40% fewer people than today, or you could double key functions such as re-search and development, customer service and marketing without adding extra cost. Also you could use some of the resources you save, to train staff better or to transform your organisation into a sustainable organisation. This book introduces a new mindset in order to help you accomplish these two things: To fully realize the enormous potential of your existing organization and to take advantage of the virtually endless amount of collective intelligence available to you. We call the mindset Unboss. The new reality, which organizations are facing, is not primarily about new technology. The Internet, smartphones, powerful computers and collaborative software has been available for more than a decade and yet organisations are still managed as if little had happened. The new reality has as its core rather a mindset and a new breed of leader, the unboss. We witness how he or she emerges, in the world’s most progressive organizations, as a servant rather than a master. An enabler rather than a commander. A leader rather than a manager. A designer rather than a producer. The unboss is working for, and is part of, an organism, which is radically different from a traditional industrial hierarchy. And joining him or her we find the very same people who used to be employees. They now share a deep and genuine commitment to the work, which is carried out, although their relation to the company is far more informal than what used to be conventional. The commitment as well as the formal organization of the company resembles a social movement rather than a traditional company. People participate on an infinite number of levels, ranging from a casual comment about a publicly shared development process to years of full-time hard work. Everything is in place for the unboss to take centre stage. Yet the one serious obstacle is, surprise, one of mindset. Today’s managers are bound by a mindset of management that is not only outdated, but also downright counterproductive. Conventional management damages motivation; it makes people less happy, it suppresses energy and it prevents people from creating value. It survives because it is so deeply rooted in every single person, every single institution and in every single organisation, that nobody seems to be able to even imagine that there was a time when it wasn’t there. It has thousands of institutions that live from teaching it and developing it further: business schools, universities and consultancies. No wonder it won’t quit! Despite all the power and prestige associated with management, we consider this mindset to be outdated and we think it has been so for at least 20 years. It was best before 1990 and its use should have been banned in 2000. Therefore, now is the time to let it go and to make way for something better and more relevant. In all fairness, let us pay tribute to the wealth that has been created during the last one hundred years through what we will call conventional management, or simply management. The concept emerged in the beginning of the 20th century pioneered by people such as Henri Fayol, Fredrick W. Taylor, Alfred P. Sloan and Henry Ford. It answered the demand for a new concept of management of the large industrial organisations that were about to take over from small workshops within manufacturing industries such as automobiles and others. Before that, at the end of the 19th century, most goods such as cars, were produced to order in small workshops that had direct contact with individual buyers, and which were able to customise products according to individual customer demands. Workers multi-tasked based on broad and long experience within the crafts in question. The patriarch (owner) managed the employee directly and face-to-face. It was the need for mass production that forced this patriarchal management model out of business. Factories that were to produce hundreds of thousands of standardised products per year, would have to be organised differently, as would their support structures and administrative and commercial functions. Enter the assembly line and the functional hierarchy, which is the organisation that plans, coordinates and executes large and complex tasks. Enter the professional manager, the boss, who has studied scientific management at university and who feels qualified to apply his knowledge and skills to any industry. Managers, hierarchies and assembly lines revolutionised business, public service and all other aspects of society. It helped create wealth and it exploited natural and human resources to a degree not seen hitherto. Many of the inventions that we could barely imagine living without today, are outcomes of successful management, such as the telephone, the refrigerator, the washing machine, the computer and, of course, the car. The wealth created by mass production also made possible a revolution in other parts of society such as education. In fact, the level of education has increased so dramatically that a worker today knows more than an average manager one hundred years ago. Mass production also allowed ordinary people to connect with others in their local community and around the world to a degree that was not enjoyed even by most heads of state one hundred years ago. In principle, nothing prevents conventional management from continuing for another ten or twenty years. If we want it to continue, we can go on, just like small workshops managed by patriarchs could have continued to manufacture customised cars for wealthy customers forever. Cars would probably have been ten times as expensive as today, and their performance would have been only a fraction of the performance of a modern car. To us, going on with a management model that is outdated, is not an option. It is man’s desire to do better that drives the change, while the resistance comes from established institutions. Manufacturers of horse-carriages lobbied to restrict the use of automobiles one hundred years ago, but fortunately they lost. Today’s bosses will reject and ridicule our attempt to question their mindset and power base for similar reasons, but they will lose. Customers and employees will demand and reward organisations that are more sustainable, more open, more dedicated, more innovative, more flexible, more involving, more human and more cost-efficient than today’s antiquated hierarchies. One hundred years ago, the world changed dramatically when the new management model took over from the patriarchal model. Likewise, the world of ten or twenty years ahead will look very different when a new and better model takes over from conventional management. Expect higher performing and higher quality products, more sustainable organisations, happier employees and customers, and more value created for stakeholders including shareholders. While individuals working relatively independently could previously do most of the work, the very nature of work today has changed, requiring more collaborative efforts. While a small group of people could build a state-of-the-art car one hundred years ago, it takes thousands of people to do the same today. Not only is the final manufacturing process vastly more complex, but also each of the thousands of components that go into the car is a result of hundreds of people’s work. Work has become more complex and more knowledge intensive. Collaboration has become absolutely essential within each organisation and between organisations. Value is created in relations rather than in isolation. The changing nature of work has led to ever more complex organisations and business models and the fraction of resources spent on actual manufacturing has been constantly reduced. Some of the world’s most successful companies, such as Apple, do no manufacturing at all. Many successful telecoms do not own or even operate their networks. The value lies in building relations to serve customers, and in building teams of people and organisations working intensively together across professional, geographical and company barriers. As work becomes more knowledge intensive and as organisations become more complex, the very cost of organising work tends to go up. It took one patriarch to run a workshop with twenty employees and to interact with customers and suppliers. Today, it may take more people to run all the specialised functions in a multinational corporation than it takes to actually manufacture the goods it sells. Overhead costs go up, manufacturing costs go down. Contemplate, for example, what a large and complex organisation it took to write the latest edition of a conventional encyclopaedia such as Encyclopaedia Britannica. Hundreds of editors, academics, proofreaders, art directors, printers, and administrators worked together for a decade or more to produce a series of books that were outdated by the time they went into print. Compare that with Wikipedia’s 23 person staff facilitating the work of over a million volunteers constantly improving and updating an encyclopaedia several times larger and available in almost 300 different languages. For those who understand the new realities, the cost of organising complex tasks will go down. For those who continue to use the conventional approach, there will be no tasks to organise in the future. Major companies such as Procter & Gamble continue to increase their investment in R&D, but what about if they multiplied their R&D team by a factor 50?. We now have the methods, tools and insights to crowdsource from millions of people across the globe in order for any company to tap into an endless stream of insights. The words are Harvard professor Yochai Benkler’s and they go straight to the heart of what this is about. Either you recognize the complexity around you and embrace it or you risk becoming obsolete or, in the realm of politics, simply overthrown. Leveraging Collective Intelligence – how do we create an organization of hundreds of thousands of workers, without employing them in traditional terms? How can we harness the knowledge of the crowd? To harness the collective intelligence within our organizations we need to look into how people network. We need to construct new corporate environments and structures in order to unlock their potential. Often people have too few valuable relations. We need to bring that number up and focus on the weak links and the environment surrounding the network. Building Legitimacy – how do we increase sales without putting in a single advertisement? How can we build a movement around our company and products? This second thought is closely linked to the concept of Thick Value coined by Umair Haque. Thick Value is about creating value, which is lasting and genuinely makes a difference without passing the bill down to future generations. Thick Value is easier to come by when focusing on doing what really matters and crowdsource or outsource the rest. Threadless started ten years ago with the core concept of letting users compete to create the best t-shirt design and then print, sell and distribute the winners. Today, Threadless receives 2,000 designs from their users every week. Half a million users vote and comment on them and the ten most popular are put on the website and sold. Threadless has never spent a dollar on advertising yet managed to sell t-shirts for 60 million dollars last. Almost all companies know WHAT they do; some companies know HOW they do it yet only a tiny minority knows WHY. Drawing upon research by Simon Sinek we strongly believe in organizing around the WHY. This is the cause that makes you get up in the morning with a smile on your face and do well at work. Believing in your WHY will ultimately create a movement around your company. If you manage this movement well, if you empower it, your colleagues will experience a new sense of meaning and your company will be far more productive in the future. The mindset of the unboss has the potential to alter almost everything we do. Once we embrace it new opportunities will appear and a new understanding of the world around us will emerge. In other words, we need to Unboss everything. Before we can do so, we need to unlearn our current concept of management. We need to understand why it emerged, why it has worked so well and why it does not work very well any more. We need to Unboss ourselves. We need to redefine our concept of a manager; the person that sets the goals, organises the work, tells employees what to do, confirms that they have done it, and rewards performance accordingly. There is no room for conventional management in a knowledge based organisation because there is a better way. Conventional managers will be substituted by leaders who shape the vision, create consensus and establish the framework for co-workers to turn the vision into reality. Likewise there is no room for employees who expect to be told exactly what to do, just like robots. We need to transform such employees into associates who share responsibility for outcome and impact rather that just doing work they have been employed to perform. We need to Unboss the very definition of our organisations. We need to remove the conventional limits to the organisation, as suppliers, customers and other collaborators become partners in making the vision and purpose of the organisation a reality. Organisations of the future will attract the people who share their purpose and who collaborate in making it happen. We need to Unboss the purpose and the structure of our organisations. We will need to bite the bullet and realise that the ultimate purpose of business will no more just be to make money for shareholders. The ultimate purpose will be to create value in society and by doing so successfully together with others, the organisation will be able to make money to sustain and to provide an attractive return to shareholders. We will also have to find substitutes for the functional hierarchies that still are the dominant structures of today. Fortunately very few organisations actually work the way they are shown in the organisational chart. The real organisation is a collection of networks and relations, many of which top management doesn’t even know about. We need to Unboss our concept of an employee and an employer. We need to let go the conventional polarisation between employer and employee. The two are not in opposition to each other, but rather partners. Consequently, the organisational framework of labour unions and employers organisations will either cease to exist or it will have to find new roles. Possibly this will be in the form of a framework for collectively creating value, rather than collectively bargaining over wages and working conditions. We need to Unboss our offices and everybody’s workplace. We need to redesign the workplace to accommodate collaboration across geographical and time limits. We need to design and operate virtual and physical teams of associates with different competencies working together and enjoying a team spirit across all borders. We need to facilitate innovation and change rather than stability, we need to address sustainability issues and we need to accommodate associates with special needs. Tomorrow’s workplace is like nothing you have seen before. We need to Unboss the way we work. We need to fundamentally move from a synchronous workplace into an asynchronous one. In the synchronous workplace, workers will perform tasks largely at the same time and place, i.e. working at the office at collectively agreed working hours. In an asynchronous workplace, the individual will be free to work where and when he or she wants to work. Whereas today workers may opt out of the office in order to work from their home one or more days perweek, in the future workers will opt in to work one or more days at the physical office in cases where working physically together adds value. We need to Unboss the way we communicate with every single stakeholder. We need to redefine and trans-form communication internally and externally. Today it is the obligation of management to ensure that all employees are given the information they need. Tomorrow, it will be the obligation of the associate to find the information he or she needs, and to set up filters to avoid information overload. There will be less paid mass communication and advertising to customers; they will find the information they need, and much will come from sources other than the company, e.g. from other customers through social media. Opinions from peers count more than glossy advertising. We need to Unboss our relationship with customers, suppliers and partners. We need to turn conventional buy-sell opposites into win-win relationships. The supplier that wins the contract will not be the company that offers a standard product at the lowest price; it will be the company that is able to add the most value to our business through partnership. Likewise, members or citizens will no longer be “clients”, but rather co-workers or associates. We need to Unboss our pay and incentive schemes. We need to let go conventional incentive schemes based on precisely phrased and negotiated criteria. The world is too complex, too dynamic and too fast-moving to accommodate such an approach. Plus the fact that we know from research that knowledge workers, unlike assembly line workers, don’t perform any better with a bonus scheme. Tomorrow’s incentive scheme is a psychological and (sometimes) legal partnership agreement that aligns the interests of all groups involved towards a common goal. We need to Unboss what we do or don’t do within CSR and environmental management and everything else. While CSR (Corporate Social Responsibility) today is almost always a secondary aspect of the business, meeting the needs of all relevant stakeholders will be the core activity for leaders to-morrow. Meeting a multitude of bottom lines simultaneously will be the name of the game and corporate social responsibility will become mainstream giving way to corporate social and environmental innovation. Once the Unboss mindset has gained ground, we dream of a future in which every single employee and manager will be a happy and productive partner in the work of his or her organisation. We dream of a future where all organisations are judged by the value they contribute to society and we ask ourselves why it is that we are not there yet? The way to get there is through collaboration. If 23 associates and a million volunteers can produce the world’s largest and most comprehensive encyclopaedia in almost any language in the world, we must be able, through a collaborative effort, to change the mindset of management. If we succeed to do so, millions of organisations will create more value to society, billions of workers will enjoy more happiness at work, and billions of customers will have access to products and services that are more valuable to them than before. A conventional book would not do the job because its very concept is contrary to the mindset we need to acquire. The book is a one-way street. It is a finished amount of expert work and it claims that it has all the answers. Our work is not finished and it is a two-way street. There will be a book because many people prefer to read a conventional book. The core however is a collaborative co-creation process, and a process of ongoing discussion, sharing and improvement. You need to be part of the effort of creating a new mindset and you are invited to become a co-owner of it. We invite you to join the effort of developing and describing the Unboss mindset. Here we will share our thoughts and invite you to question our thinking and to add your thoughts and insight. As we build the Unboss mindset, we will unfold its consequences, first in the world of organisations and later in any other relevant context. What would it mean to unboss your country? What would it mean to unboss the United Nations? Or to Unboss World Scouting, the Red Cross, your local community or the energy sector? See you in a better world – the world of the Unboss.